Friday will see the return of both Fletchers but which one will have the greatest effect on the already faltering World Cup qualification campaign? 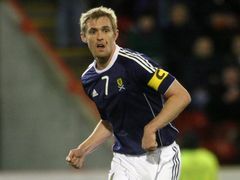 Scotland captain and Manchester United midfielder, Darren Fletcher should return to bolster a weak looking centre of the team. Fletcher’s calming influence and dynamism was sorely missed in the recent games against both Serbia and Macedonia. His unexpected return to first team action in the EPL and Champions league for United after a career threatening illness has provided the long suffering Tartan Army with a rare boost. After an inauspicious start at Old Trafford Fletcher has gone on to become a regular starter in Alex Ferguson’s team. Combative and cultured, on his day Fletcher can make the difference in midfield, even popping up with the occasional goal. Although slight in build he is capable of bossing the midfield with tenacious tackling and solid marking. 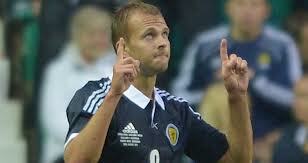 Aged 28 Fletcher has made 58 appearances for Scotland, scoring 5 goals. He is an integral part of the Scotland team and a rare class player in a quality starved squad. The only question that remains is if he can last for two tough international after such a long absence especially as against Belgium he will, alike his team-mates spend a lot of time chasing the ball. Scott Brown will also return to the squad for the game against Wales and his partnership with Fletcher should give Scotland a strong midfield base. 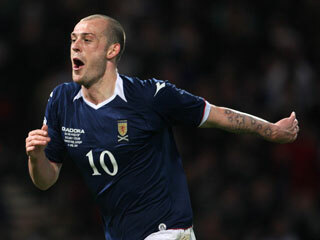 Steven Fletcher returns to the Scotland squad after a 2 year self-imposed absence. During the summer he completed a £14 million transfer to Sunderland and since then has started the seasons impressively scoring all of the Black Cat’s goals. Fletcher is an accomplished striker and target man with a decent record in the EPL. Although he does not do the running and tracking back of Kenny Miller Craig Mackail Smith he is deadly in front of goal. His starting 11 inclusion is a “no brainer” it just remains to be seen if he receives the adequate service to convert chances. The childish spat between Fletcher and Craig Levein was finally healed, after media and fan pressure last week hopefully their new found amity will produce results on Friday and Tuesday. Although the inclusion of both Fletchers and Scott Brown has been praised by all there are still many criticising Levein’s omission of Celtic midfielder, Kris Commons. Although Commons has started the SPL well and impressed in Europe the Scotland coach has again omitted the player from his squad, even after Steven Naismith’s 2 match ban for violent conduct. His non-inclusion is puzzling in the extreme. 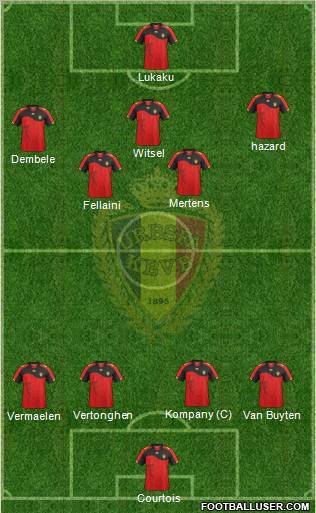 Belgium have an extremely talented group of players at present.Not only is the majority of the team playing in the EPL but they are also flourishing for their respective teams, all of which are currently in the top 6 or in the Champions League. Dembele, Hazard, Felliani and Lukaku have hit the new season running and Vincent Company was the player of the season last year.Added to this Vertonghen, Vermaelen and Van Buyten (the three V,s??) are experienced quality defenders. The Hillsborough 96 victims and families are vindicated, surely justice should follow. Andy Murray wins his first major, hopefully the first of many. Sergio Martinez is severely rocked in the last round of his fight against Chavez Jnr. Scotland are on the verge of falling out of World Cup qualification contention after 2 games. Ricky Hatton announces his comeback from retirement. Anton Ferdinand refuses to shake the hands of John Terry and Ashley Cole before QPR and Chelsea game. 4 hours before the game starts and Craig Levein has already announced that Jamie Mackie, James Forrest and Shaun Maloney will replace Charlie Adam, Robert Snodgrass and Steven Naismith. The only question on every Scottish fans lips is: Why no Jordan Rhodes? Kenny Miller looked knackered at half-time on Saturday and Rhodes had an immediate effect even with only 10 minutes to impress. At least Levein has made changes but he hasn’t gone the whole hog. A chorus of boos at the final whistle left Craig Levein in doubt of the fans feelings of the match. As usual there is a prevailing feeling that this was an opportunity lost and an error that will come back and bite us on the arse. Serbia enjoyed the bulk of possession without creating many clear cut chances. At the death they could have stolen the three points but luckily, Alan McGregor our only truly European class player saved our bacon. Throughout the match Scotland surrendered possession at will and were limited in attack. Paul Dixon had an impressive debut at left back however Alan Hutton on the right again left his defence open countless times. Caldwell and Berra were average at best while Charlie Adam was wasteful with his passing and free-kicks. Of all the players Robert Snodgrass impressed me the most. He looked capable of attacking and got into the faces of the Serbians. In the second half he was substituted for James Forrest. Kenny Miller was industrious as always but the 33 year old veteran tired dramatically in the second half. 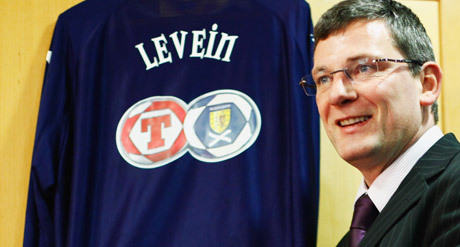 It seemed as if everyone in Scotland, apart from Craig Levein knew he had to be replaced. Especially with new wunder-kid Jordan Rhodes waiting on the bench. In the end Rhodes and Jamie Mackie got barely 10 minutes to impress, and they did. In the end the pre-match optimism was unfounded. One point was not disastrous but anything less against Macedonia will be. The knives are well and truly out for Craig Levein. If he loses or draws on Tuesday he has to go. 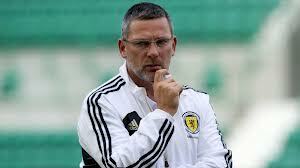 Make or break for Levein and Scotland? Scotland’s double header against Serbia and Macedonia will go a long way to deciding our qualification fate, even at such an early stage. 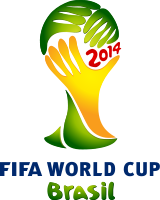 As both games are at home 6 points are a necessity especially if we view Serbia as a runner-up contender. Previous campaigns have been lost in Hampden rather than on our travels. Plainly speaking if we lose at home then there is no chance of Pina Colada’s on the Copacabana. Much of the pre-match and campaign talk has been unusually, optimistic. Scotland possesses strength in the forward areas which previous coaches bemoaned the lack of, but now we have an almost embarrassment of riches. 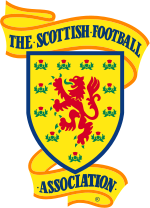 The emergence of Jordan Rhodes, Robert Snodgrass and Ross McCormack allied to mainstays like Steven Naismith, Kenny Miller and Shaun Maloney give Scotland a potent and capable attack for the first time in years. However, a slew of injuries in defence means Scotland are scrambling for experience and sufficient quality at the back. The late exit of Charlie Mulgrew, Danny Fox and Russell Martin has dramatically weakened the previously, robust defensive wall and the last minute replacements Paul Dixon and Gary McKenzie lack international experience. Scotland’s last two friendly matches have shown us their greatest weakness and strength. The 5-1 humbling against the USA at the tail end of last season was dreadful. Landon Donovan ripped through a ponderous and static defence at will and left the Scottish defence battered, bruised and sapped of confidence. With consideration that it was the end of a long season and under the blazing, Jacksonville sun Scotland still looked disorganised and exposed. Realistically we need an extra man to cover the space between defence and midfield: to aid the fragile centre halves and protect us when Alan Hutton goes on his marauding runs. Gary Caldwell should fit into this position but then it deprives us of his services at centre half and his influence upon a sometimes flaky Christophe Berra. Against Australia at Easter Road we were more adventurous and attack minded, even after going behind to an early wonder strike. The high tempo, kick and rush game suits Scotland and our abilities, there is no point in having unrealistic pretences to the “Tiki-Taki” Barcelona/Spain style when we don’t have players able to carry it out. 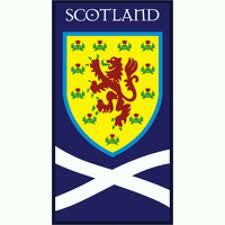 When the Scotland players are more combative and physical they impose themselves upon the game and the opponents. It’s in our nature to be confrontational and antagonistic and a football team at its best should reflect the characteristics of its people. Think Brazil and Holland in the 1970’s or France in the 1990’s. Previous coaches have sacrificed attacking intrepidness and risk for cold hard pragmatism and uber-defence and while this was almost successful with Walter Smith and Alex McLeish the end result was the same: TV tournaments. Craig Levein’s no-striker, 4-6-0 formation against the Czech Republic was met with howls of derision and exasperation and rightly so. For the first time in years we have fine players who are capable and willing to attack and entertain so the least the coach should do is give them the opportunity to express themselves. 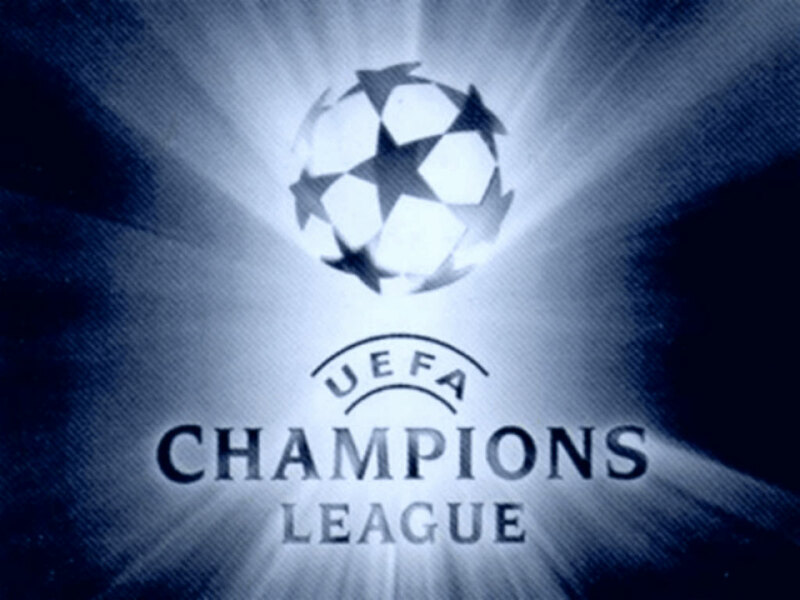 But that is not to be too foolhardy and naïve as neither these players nor the fans can stomach many more 5-1 humblings. I have my doubts about Craig Levein and his experimental line-ups and handling of the Steven Fletcher and Ian Black affairs but he has my full support none-the-less. I hope he leads us all the way to the Maracana and to do this he needs 6 points against Serbia and Macedonia. Anything less and its warm Tennent’s at the T in the Park rather than a cool, Brahma on the Copacabana. 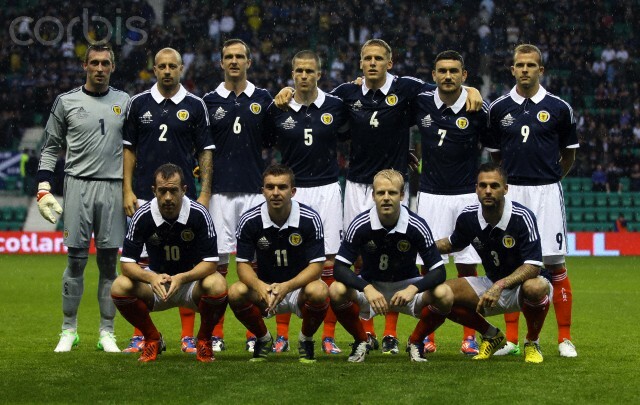 key substitutes : Ross McCormack, Kenny Miller, Jamie Mackie, James Forrest or Don Cowie depending on injuries. I’m fully aware that Levein will pick Miller alone up front. 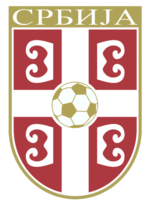 The Serbs are going through a transitional period and blooding in many youth players.They have a number of danger players but most are inexperienced at International level. The main goal threat should come from Dejan Lekic who plays for Genclerbirligi in the Turkish first division. In defence they have Branislav Ivanovic of Chelsea and Alexsandar Kolarov of Manchester City. Thankfully Dejan Stanković has retired. Their coach Sinisa Mihajlovic, who was an extremely gifted footballer and free-kick specialist, has been bullish and confident in preparation however he has a chequered and controversial past and is prone to outlandish outbursts.